Get $10 Christmas Cash with every $100 Purchase! 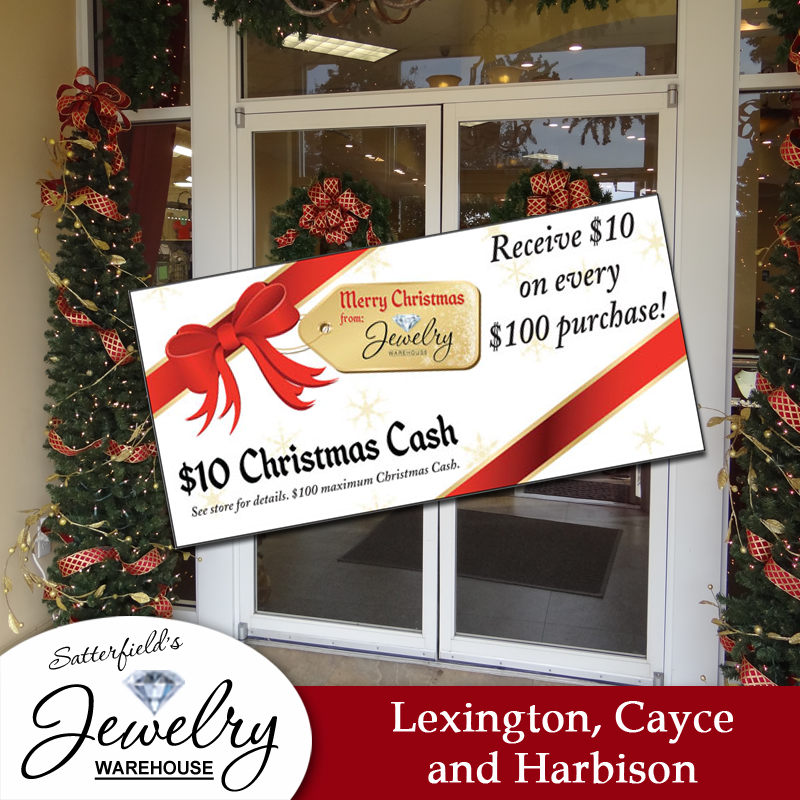 With every $100 purchase (pre-tax and post discount) from Satterfield’s Jewelry Warehouse you will receive $10 in Christmas Cash! You can receive up to $100 maximum in Christmas Cash. Spend $1000, and get $100 in Christmas Cash. The great thing is that not only can your Christmas Cash be used for jewelry, but also for Carolina, Clemson or Palmetto merchandise! Stop by and see us today! We are open until 9pm. Tomorrow we are open from 9am – 9pm. This entry was posted in Jewelry, Jewelry and Holidays and tagged christmas cash, christmas jewelry, columbia sc, free money, jewelry in sc, jewelry warehouse, satterfield's jewelry warehouse. Bookmark the permalink.